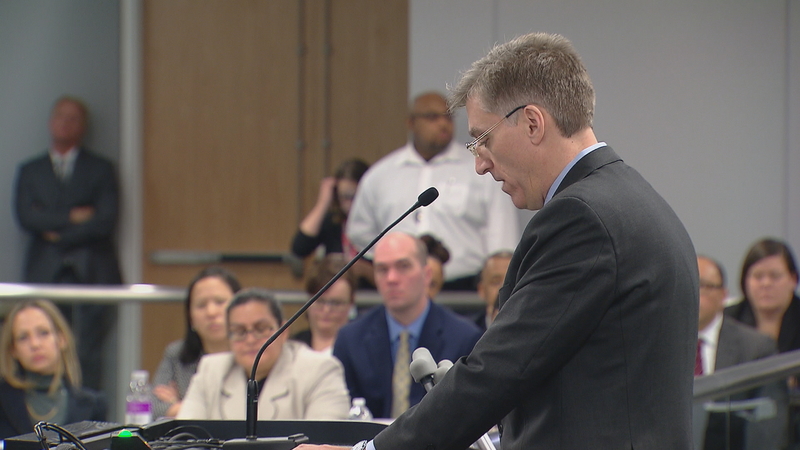 An investigation into whether or not the Chicago Board of Education’s top attorney violated a Chicago Public Schools ethics policy has been stalled, according to the district’s Inspector General Nick Schuler. Schuler publicly addressed the board during its regular meeting Wednesday, citing what he calls “a serious negative development in the relationship between the board” and his office. Schuler says his office is investigating whether or not the board’s general counsel, Ronald Marmer, violated district policy by managing work that his former law firm, Jenner & Block, was contracted to perform on the board’s behalf. The inspector general says it’s also been reported that Marmer is still receiving retirement payments from the firm. Schuler says he needs access to view documents and interview attorneys, but the board is blocking him by asserting attorney-client privilege. “Originally, we were told that the board wouldn’t be asserting privilege, in our investigation, that they were going to give us the materials. That changed [in October],” he said in an interview. Schuler, who’s been on the job for two and a half years, was the deputy inspector general for four years before being promoted. He says he’s never before seen the board invoke this privilege in an investigation. He speculates the reason the board is doing it now is to avoid having that information reach the public. Schuler explains that it is the duty of his office to make public information found in his investigations “depending on the specific circumstances and facts,” and that it’s not something his office takes lightly or without discussing with the board. The district claims that while attorney-client privilege is not unlimited, it does protect communications that are kept confidential and not shared with third parties, like the inspector general. The district says while it is cooperating with the OIG, it must not undermine the legal principle that is essential to board operations and the privileged information between an attorney and client. Dec. 7: Chicago Public Schools has a budget, but it could change again before the end of the school year.